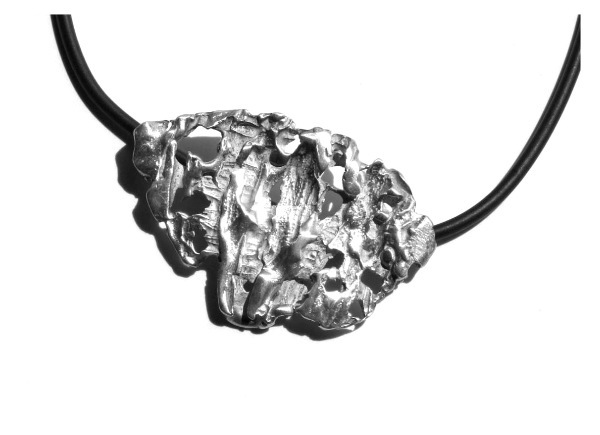 Pendant in silver of the erosion collection. Exclusive design inspired by the shapes, textures and movements of nature. Sold with cord and carrying case.